The Casino veteran presents his top gambling movies of all time. Some say that the Casino Veteran helped Lady Gaga to perfect her poker face. 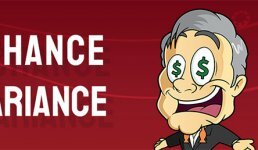 Others insist that not even he knows when he’s bluffing – either in the comfort of his own home while playing in new online casinos or while haggling for the best free spin bonuses. The worlds of cinema and gambling have been colliding and inspiring one another for as long as the Casino Veteran can remember. There’s something inherently magical, and engaging about the casino that translates easily onto the silver screen. Similarly, there are numerous movies that have made epic video slots and poker games, while managing to entrance gamers and film fanatics alike. We enjoy the thrill of the roulette wheel and the danger of a high-stakes poker game. It stands to reason, then, that the casino should stand as one of the greatest cinematic locations of all time. When he wants to get into the mood for a visit to his favourite online casinos, the Casino Veteran will often choose from his array of gambling movies and settle down with a bucket of popcorn, while dreaming about free spins bonuses and the jackpots he’s likely to win next. Everybody has their own ideas about what makes a great gambling movie. However, the Casino Veteran would like to draw your attention towards the following classic gambling movies. Forget the bright and bold world of new online casinos for a moment. This 1990s film draws upon the underground world of high stakes poker, following two friends as they flit from town to town, and game to game in an effort to pay off a large debt. 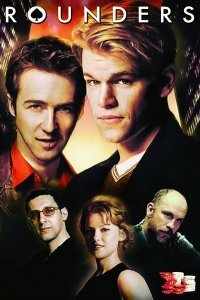 From banter and bluffing to the intoxicating thrill of winning big or losing it all, Rounders reiterates why, for many, there’s nothing quite like a game of poker.Why the Casino Veteran loves it… This film is all about poker – the game takes centre stage rather than being introduced as an activity at a secondary location, or as a subplot. 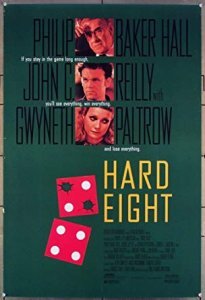 Staying in the 90s, Hard Eight is a buddy movie with a difference – gambler Sydney teaches his protégé, down-and-out John, to succeed at poker. There’s more to this cinematic offering than gambling, but the tension that accompanies the threat of losing it all haunts the film like a ticking time bomb. We love poker because of its uncertainty, and Hard Eight delivers plenty of anxiety. 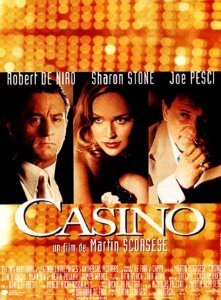 Why the Casino Veteran loves it… This type of gambling movies remind us that anybody can win big at poker if they have the determination to succeed and the guts to stand the pace. It’s time to take down a casino, or three. 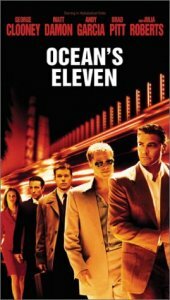 Danny Ocean enlists the help of a gifted group of swizzlers in an effort to rob three of the world’s biggest, and most high-profile casinos of $150million. Their connection? All three casinos are owned by Terry Benedict, a man who has made himself unpopular with many. This is the ultimate casino heist movie. Why the Casino Veteran loves it… This film has a stellar, all-star cast and plenty of glitz. There’s a cracking plot, but the cinematography makes this a must-see sensory overload for the soul. Definitely one of the gambling movies to recommend. 1996 was a great year for gambling movies, it would seem. Following the lifestyle and misadventures of Ace Rothstein, a casino operator in Las Vegas, Casino reflects the turbulent nature of the city – and its inhabitants. Thrown into chaos by a childhood friend, Ace experiences sophistication and glamour alongside corruption and murder. Online gambling, this is not! 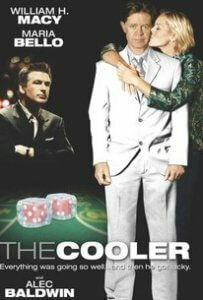 Why the Casino Veteran loves it… Casino delivers a divine, nuanced portrayal of Las Vegas and its gambling scene. On the one hand, we’ve winners and excitement, on the other falls loss and danger. While our players won’t ever experience those kinds of risk we, as the viewers, are eager to see how others will pull themselves out of it. Jack Manfred is a struggling writer. Taking a job as a croupier he comes face to face with the harsh realities of the casino scene, and his life begins to unravel dramatically. 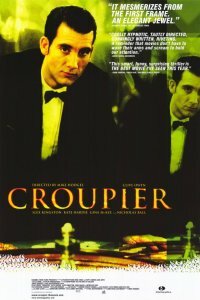 Croupier delivers blow after blow to the audience and its hero but reminds us that gambling doesn’t always end in a big win and eternal fame. Why the Casino Veteran loves it… This is one of the gambling movies that is different to a lot of casino and other gambling movies, charting the personal life and struggles of a single individual against the backdrop of the casino. It is human and unrelentingly bleak in places, but worth a watch. James Bond is a modern-day hero. He delights in fast cars, exotic destinations, beautiful women and clever gadgets, which allow all of us to dream. 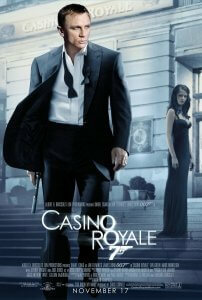 Bond’s affinity with the casino and gambling are also hard to ignore. In Casino Royale the viewer is treated to the spy’s most important game of his career – he must win a high-stakes poker game against a banker to the world’s terrorists. The film’s casino scenes radiate glamour, risk and excitement. 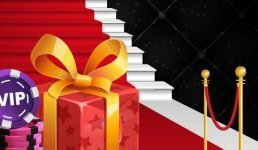 Why the Casino Veteran loves it… James Bond is one of the Casino Veteran’s favourite characters of all time, and Casino Royale plays out his most tense game of poker. We love the thrill of the unknown and, while we’re sure he’ll triumph, there’s always an element of doubt. Many gambling movies focus on the gradual rise, greed and fall of particular individuals and groups of the casino scene. The Cooler, however, begins with a loser. 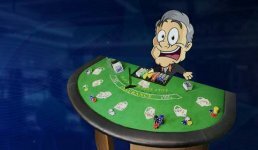 Employed as a jinx to successful players, Bernie Lootz notices that his luck, and that of those around him, is beginning to change after he meets a cocktail waitress. Why the Casino Veteran loves it… This film is all about the casino environment, and its inner workings. It focuses on the relationships that make or break a business and help or hinder the lives of those who choose to frequent its floor. 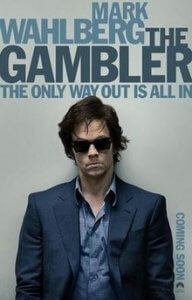 Recently remade in 2014 The Gambler follows Axel Freed as he attempts to write the wrongs of his gambling addiction. On the surface, the English professor has it all – but underneath he drowning in a sea of debt and temptation. What follows is a spiral into debauchery, and the audience can’t help but wonder whether it will all be worth it. Why the Casino Veteran loves it… The Gambler is about so much more the casino floor. It studies human nature, addiction and self-control and seemingly muses about the dangers of them all. The silver screen has a penchant for portraying Las Vegas as a bright, bold and fun place to be – a place where dreams come true and millionaires are made. 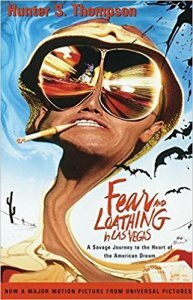 Fear and Loathing in Las Vegas doesn’t shy away from Sin City’s seedier side as Duke and Gonzo encounter drug addicts, hitchhikers, police officers and fellow gamblers along the way during their epic adventure. There’s something almost endearing about their travels, though. Why the Casino Veteran loves it… ‘Fear and Loathing’, as it’s affectionately known, is a typical road trip movie, with camaraderie, danger and a satisfactory resolution. It just so happens that the protagonists have taken gambling along for the ride. 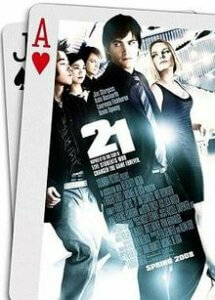 One of the most known and loved gambling movies , Inspired by a true story, that of the MIT blackjack team, 21 follows the misadventures of medical student Ben Campbell as he joins his mathematics professor’s team of gifted individuals in order to earn money for his tuition fees. Ben gambles everything during the course of the film, least of all his freedom and future as a doctor, as he gets to grips with card counting, greed and corruption. Why the Casino Veteran loves it… Everyone loves an underdog, and Ben is an unlikely hero – least of all because he could be any of us. He is dazzled and delighted by the Vegas he comes to know, and we can’t help but be endeared by him. Some say that the Casino Veteran invented the art of online gambling. Some believe that he was born beneath a blackjack table.Whatever the truth you cannot deny that he knows his gambling movies, whether you agree with all of his choices or not. Up until now the best gambling and casino movies have been based in bricks and mortar establishments, and tangible locations connected to the worlds of betting, table games and dice. However, the Casino Veteran knows that the times are changing. 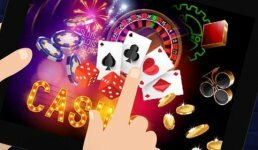 The rising popularity of online casinos could well lead to movies all about free spins, virtual progressive jackpots and video slots. All we know is that we’re excited to see what comes next.